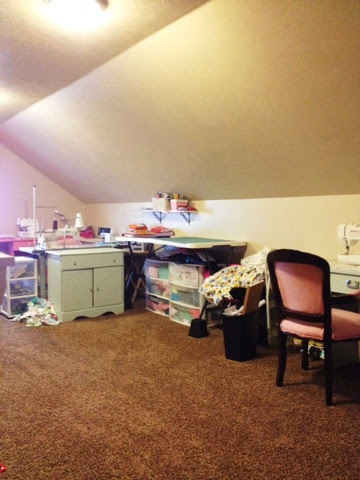 Today as part of the Craft Room Tour, hosted by Angie with the Country Chic Cottage, I am sharing with you all my sewing room. I have shared bits and pieces of it over the last couple years, but never a tour of it. But here is the official tour. Don't be alarmed that it isn't spring cleaned. This is just the way I work. 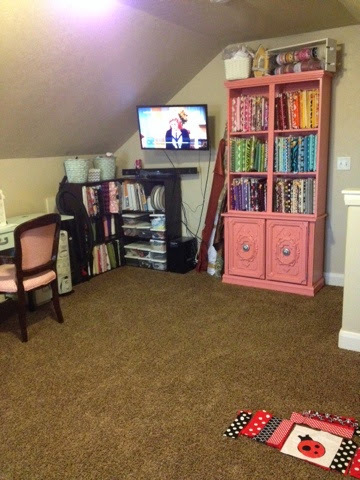 With piles...piles in every corner. Piles in all those cupboards. Piles of to-do, piles of mending, piles of "I don't know where to put that". Just piles. I am ok with piles. Its an organized chaos that I enjoy. 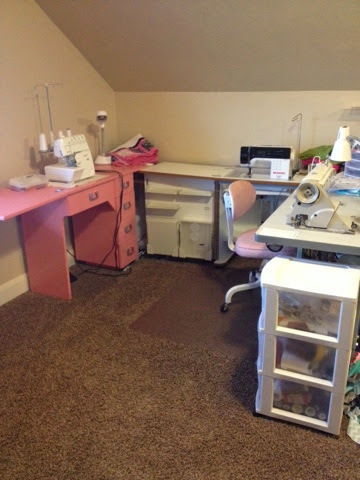 This is my daughters sewing station. She is 8 and loves being able to sew on my very first machine that I owned. 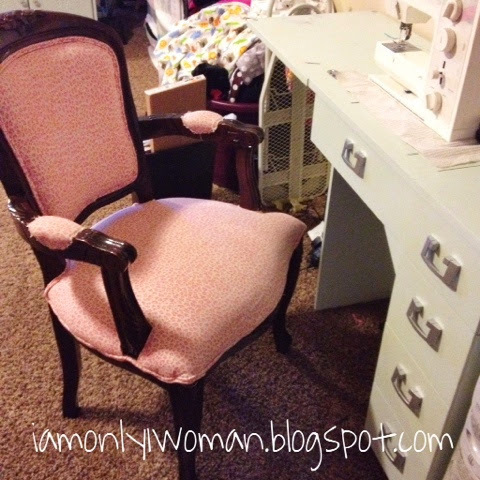 That chair was given to me when I still lived at home, but I reupholstered it with my mom's help last year. Whenever someone comes into my sewing room they ask me if I use ALL of the machines. It makes me giggle inside, but yes I do. 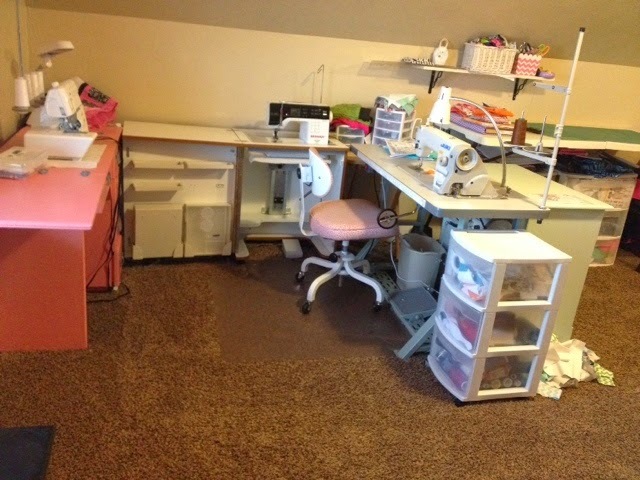 The serger (on the left), I use for serging and finishing all my edges. The bernina (the one looking straight on) was a gift from my awesome husband. I was so mad at him for spending the money on it when he did, but I haven't complained a day since then. I love that machine. It does all my delicate sewing. The Juki (its the one on the right) is an industrial sewing machine. It sews light weight to medium weight fabric. It is REALLY fast. My Bernina sews around 1000 stitches per minute and the Juki Sews 5500 stitches per minute. 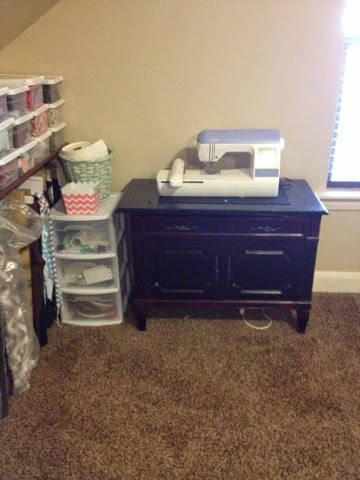 It was a little intimidating at first to sew with, but now I LOVE that machine! 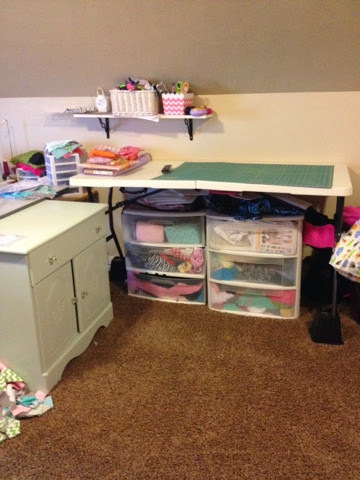 The little plastic drawers hold all my thread and bigger sewing things that I need close by while sewing. Not pretty, but definitely do their job! The little shelf above the table (I have another one to put next to it with an iron holder thing I bought from +IKEA USA that I just haven't had the time to put up yet) holds all my scissors, rulers, rotary blade and pieces of scraps that I am saving. 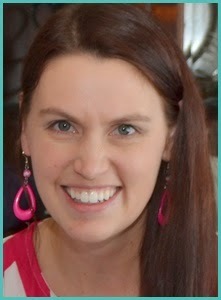 Don't you love the little Chevron buckets from Pick Your Plum?!? This little area is my newest addition. It is strictly an embroidery machine. The cupboard and drawers hold stuff for embroidery. 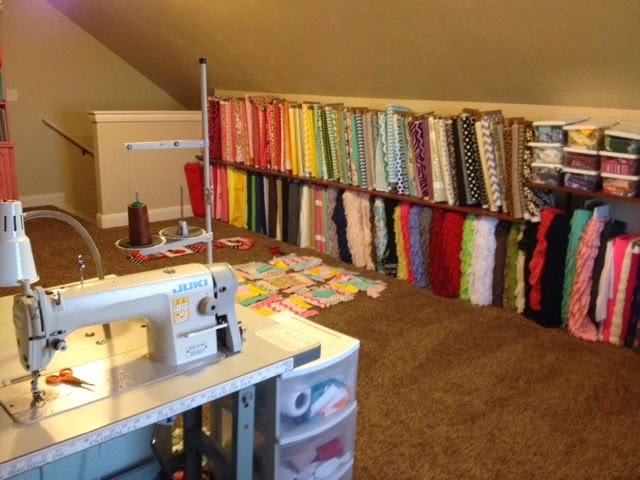 All of those little shoe box containers have fabric scraps organized by color and size. 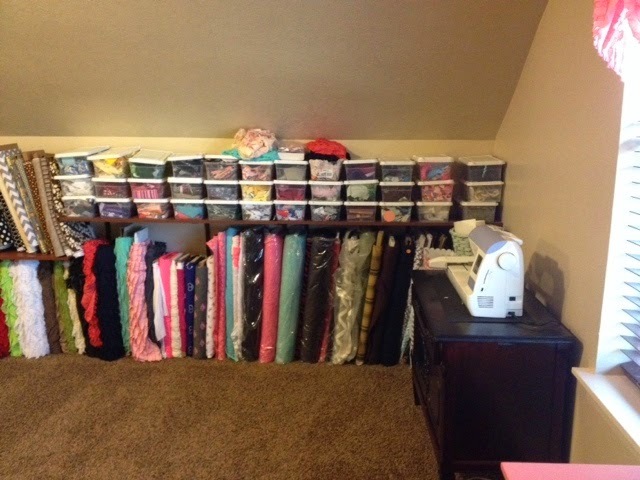 the bottom row of fabrics are all minky, ruffles, home decor weight fabric, and clothing type fabrics.